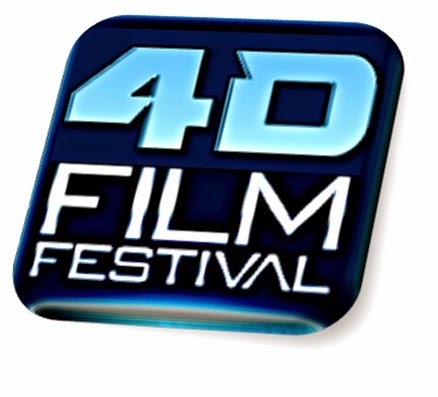 3DFF, the worlds first and largest all digital 3D Film Festival presented by 3opolis and RealD will hold its 7th annual event on Saturday, December 6th, 2014 at Regal Cinemas L.A LIVE and The Hotel Figueroa in Downtown Los Angeles between the hours of 10am to 2am. The newly revamped and more immersive festival will feature the advent of two new cutting edge technology programs including a first-of-its-kind 4D Film Festival line up including Dreamworks Animation S.K.G’s 20th Century Fox release of “Penguins of Madagascar in 4D” and Lionsgate’s “The Hunger Games Mockingjay Part 1 in 4D”. Both films will be screened in Regal Cinemas new 4DX enabled movie theater, the first in the United States to feature 4D technology pioneered by CJ 4D Plex. In addition to its 3D and 4D screenings, parties and panels, 3DFF will also launch a new Virtual Reality Festival initiative that will feature a variety of VR technology displays and content demonstrations provided by leading purveyors. 3DFF Pioneer Award winners Havas Worldwide and Dos Equis will showcase their award winning “Dos Equis Masquerade”, a revolutionary new VR Ad campaign for the Oculus Rift featuring The Most Interesting Man in the World, who stars in this first-ever live action 3D cinematic virtual reality film directed by Jordan Fish and Patrick Sherman in partnership with Montreal based filmmakers Felix & Paul. Note: This exhibit will also be shown at the official 3DFF Costume Masquerade Ball and After Party. Additional award winning VR displays will be provided including: “11:57” (the first interactive short horror film for VR) presented by Sid Lee with VR technology by Wemersive. This groundbreaking short film will be presented in 3DFF’s very first VR Fright Room, which will demonstrate a fully immersive VR experience for a limited amount of attendees presented by ImmersiON-VRelia on their smartphone powered VR HMD “the GO”. Also, “Collider” presented by Edward Lee (an interactive audiovisual VR experience with motion controls), WemoLab (VR content and software creators); Otherworld Interactive (A VR Content Studio that will be showing off their Mobile and Oculus Experiences); “Freevi” featuring the Flight Deck 3D Android Tablet; Specular Theory (VR content creators) plus other great exhibits. This special edition one-day 3D Film Festival will open on Saturday December 6th at 10:00am with three back-to-back 4D feature film screenings presented in 4DX followed by a panel discussion entitled “The Evolution of Cinema Panel featuring 3D, 4D and Virtual Reality”, which will take place from 5:00pm to 6:30pm featuring top speakers from the 3D, 4D and Virtual Reality Industries. Moderated by 3DFF Founder Christopher Crescitelli and Head of Post Production Jonathan Shaw this expansive panel will include 3DFF Pioneer Award Winners: Jim Hord (Executive Creative Director for Havas Worldwide/Dos Equis Masquerade); Blair Erickson (Jamwix Founder/ Director of Banshee Chapter 1st VR Feature Film); Theodore Kim (CJ 4D Plex/4DX); Catherine Yi (CJ 4D Plex/4DX ); (Aaron Latham-James (Tech Producer, Stereographer/Guns and Roses Appetite for Democracy 3D); Eric Deren (Creative Director/3DM Music Festival); Ethan Schur (ImmersiON-VRelia) and Stuart Warren Hill (3D Content Creator/Inventor of Holo-gauze). Also at 5:00pm in theater number five the 3ology Shorts program will be serving up a selection of the best 3D short films, music videos, and experimental content from around the world all presented in RealD 3D. 3DFF is proud to host the big screen debut of NASA’s two amazing 3D short films entitled “International Space Station Tour” and “Astronauts Grow a Water Bubble in Space”. Other world premieres include: from Italy, “Vice Versa 3D”, a 3D short documentary presented by 3DFF alumni Francesco Rotunno and Alessandra Vinotto also “The Whitewashing of 5 Points” directed by Ben Schwartz of Queens, NY; “Carta de la Muerte a Frida” directed by Ana Leticia Reyes & Diego Sandoval of Mexico; “Situation Vacant” directed by Andrew Murchie from the U.K.; “Holotronica” directed by Stuart Warren Hill from the U.K.; “Sunday Morning Drive” directed by Ole Schell of USA; “The Silver Ghosts” directed by 3DFF alumni Caroline Orme from the U.K.; “Airground” directed by Sylvia Nicolaides from Cyprus); “Lost in Reverei” directed by Tom Gifford from USA; “Love Lift Me” directed by Hanspeter Aliesh of Switzerland. “The Art of Diving” directed by Helmut GoerZitz of Germany; among other amazing short films. At 10:00pm 3DFF After Dark will world premiere “Hackin’ Jack vs. The Chainsaw Chick”. This comedic horror film by veteran horror film director Norm de Plume is sure to entertain in Splatter Rama 3D and Thunder Rama Sound. Must be 18 years old to enter. Directly following a full day of screenings, panels and technology displays, the festival will debut its first all-ages “Cosplay Dreams 3D Costume Masquerade Ball and After Party” which will take place from 9:30pm to 2:00am inside the Hotel Figueroa located across the street from Regal Cinemas. The premiere screening and after party for Cosplay Dreams 3D will be attended by cosplay superstars including YouTube sensation Traci Hines who will appear along with veteran actress Tracy Reiner (League of Their Own/ Apollo 13) who will open the show as Celebrity Host for the evening. Additionally, hundreds of Cosplayers from the Southern California Comic Con Community will be on display at the event in full costume regalia. The 7th Annual 3D Film Festival will take place on Saturday, December 6th, 2014 at Regal Cinemas L.A. Live and the Hotel Figueroa from 10am to 2am. Please note that all 4D screenings will take place in theater number 6. All 3D screenings will take place in theater 5. All Virtual Reality Lounge demos will be on display in Gala A and B Event Rooms just down the hall from theater 5, with additional activations located on the Mezzanine Level of the theater. The Costume Masquerade Ball and After Party will be located at the Hotel Fig located a short walk down Olympic at the corner of Figueroa. All seats are filled by 3DFF Badge Holders on a first come first serve basis. If you are a badge holder and wish to RSVP in advance for a particular movie on the day of the event, you can do so by visiting the check in table located in the main lobby of the theater. Regal Cinemas L.A. Live: 1000 W Olympic Blvd, Los Angeles CA 90015. Festival Hours of Operation are from 10:00am to 12:00am at this location. The Hotel Figueroa: 939 S. Figueroa Street #930, Los Angeles CA 90015. Festival After Party Hours of Operation are from 9:30pm to 2:00am at this location. Regal Cinemas will validate 4 hours for $6.00 in any L.A. LIVE Parking Structure. Please bring your parking ticket with you to the theater for validation stamp. Additional parking located just outside L.A. LIVE. Save time and money by taking the Metro and only walk a few short blocks to L.A. LIVE. Congratulations Chris on the continued success of the festivals! Hope you all can make it.